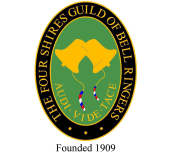 The very first Four Shires Guild Striking Competition was arranged for Thursday 28th April 1910 at Blockley. Of this meeting the Minute Book records: "Owing to the very inclement weather the attendance was small, and as several of the towers were not fully represented, competitions had to be abandoned." It goes on to record: "The Rev Spencer Jones kindly invited the Guild to hold its Autumn Meeting at Moreton, and it was decided to do so." The Autumn Meeting at Moreton, on Wednesday 26th October, clearly included enough members, as the Minute of the Meeting states: "For the first time competitions were held, and Five Towers (sic) entered namely:- Campden, Shipston, Blockley, Todenham and Longborough." The judge is not recorded, although it may have been 'Mr Barlow of Chipping Norton', as he was the Committee's first choice ('Mr Brinkworth of Oddington' was the second choice). The marks for the three categories in the Competition are recorded: rising & sinking; rounds; call changes. Although no overall winner is given, it was probably the team with the highest total score (Todenham). The marking then was positive, ie marks gained, rather than as now, with faults being counted and the lowest score being the winner. None of the towers competing in 1910 were represented at the 2010 competition, although our President, John Nicholls from Campden, could be said to uphold that tower's centennial honour. 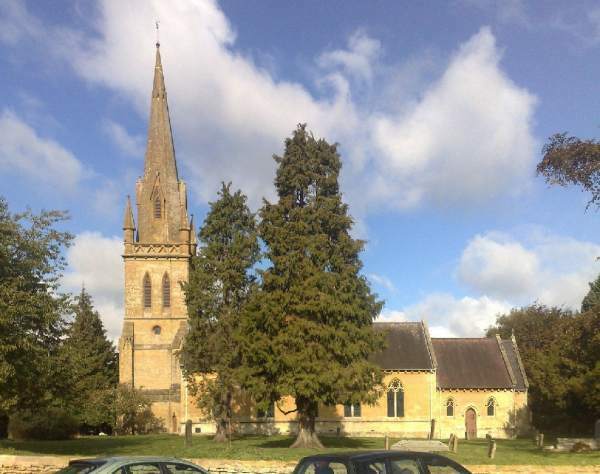 The choice of Moreton for the 2010 location is entirely one of circumstances. Broadwell Church, chosen well before the Old Minute Book was discovered, still had scaffolding around it arising from a delay in the work there, so another location was desperately sought. Moreton seemed like the right place . . . .! Not the same bells there now, of course (much better than those in 1910!). Read the 2010 Striking Competition report.